The summer is a nerve-racking time for many pastors. If you’ve been pastoring for more than a year, you may have experienced a significant dip in attendance and giving in your church, which makes sense. Between families going on vacation, sporting events on Sundays, and parties and barbecues, there are a ton of good things going on during the summer that can distract the members of your church from regular attendance. A decline in attendance during the summer usually leads to a dip in giving. It’s natural to forget about giving when you’re not in a worship service, and it’s not like we’re thinking about tithing when we’re laying out on a beach or splashing around in a pool. While the members of your church are on vacation and enjoying summer activities, the life of your church goes on. It’s not like you can close your doors for a few months and forget about life for a while. You still have ministries to fund. You still have bills to pay. You still have salaries to provide. The summer months can be demoralizing and kill your church’s momentum. But here’s the deal: You don’t have to be a victim of a summer giving slump. The life of your church can go on. You can continue to reach out to your community. You can continue to preach the gospel. You can continue to participate in God’s work in your community. The summer is approaching fast, so let’s get started. Do you expect to see a decrease in attendance and giving this summer? If so, you’re not alone. This summer, there are two different ways you can prepare. First, you can stick your head in the sand and just hope things work out. I’m not sure if this has been your approach in the past. But it usually doesn’t work out well. Not knowing whether or not you’re going to have enough money in the bank to tend to your church’s needs can be a stress-inducing experience. Let’s agree not to stick our head in the sand this summer. Second, the best thing you can do is to make a plan to smooth out your church's summer giving slump. In the rest of this article, I’m going to share with you seven ways you can make your plan. Here’s the deal: A decrease in attendance will lead to a dip in giving. I know I’m stating the obvious. But if the members of your church don’t have to be physically present to give, then you can offset the slump in your summer giving. For churches who use Tithe.ly, they’ve actually experienced an increase in giving through the summer instead of declining. Donating online is becoming the new normal, and most giving (67%) takes place on days other than Sunday. To beat the summer giving slump, you need to offer online and mobile giving options for your church. When you give people great online and mobile options to give, it enables anytime giving. Are you traveling for work? Focus on your business. Regardless of the reason, someone can attend your worship service; they’ll be able to financially support your church from their phone, computer, or tablet. Now, increasing your online giving requires more than just making it available on your church’s website. You have to promote online giving and help the people in your church give online. Here are nine tips to help you increase online giving in your church. Regular recurring giving lays a solid foundation for your church’s budget. On average, people who make recurring donations online give more frequently and more per year. 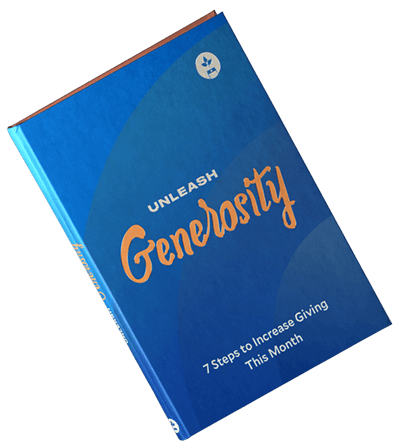 Lead the members of your church to automate their giving will help you to avoid a summer giving slump. At Tithe.ly, we made it super simple for people to set up recurring giving with a few clicks. Taking a vacation is essential for you and the members of your church. It doesn’t matter if you take a “staycation” or go somewhere with your family and friends. Taking a break from work and life to have some fun is good for your soul. When the members of your church are away, you can help them to stay connected by providing a church app. Making it easy for people to connect on the go will help them to feel apart of the life of church still even though they’re not physically present. Don’t set the cruise controls during the summer just because people are on vacation. There’s nothing wrong with taking family vacations or skipping a worship service here and there, but that doesn’t mean the mission of your church needs to come to a halt. Create a summer message series that will get people excited about sticking around. Use the weather to your advantage and bring in some bouncy houses and food trucks between services, or organize a picnic on the lawn. Make your party the party that people want to come to. If your preaching pastor is taking time off, bring in a guest preacher who will draw a crowd. If your worship team has dwindled down to “we’re going to do an acoustic set today, with Danny and his guitar,” then consider hiring a worship team or a popular band to fill in and give people a break. God doesn’t take a break during the summer. His presence isn’t felt less during worship just because you have a few people absent. Sharing stories of God’s work in your church is a natural way to inspire giving. These types of stories—testimonies—are a tangible way people can see God’s work in the life of people. Is there a new profession of faith you can celebrate? Are there new baptisms you can acknowledge? Did God recently restore a marriage in your church? Does your church support a local nonprofit agency or missionaries? Don’t worry about whether or not your story is grandiose and fit for the big screen. The best type of stories you can share is from the common types of stories people can easily relate to. Share stories during your offering, your worship service, on your website and via social media. Make sure to thank the people for financially supporting your church to make these stories possible. This way people will see that their financial gifts continue to matter–even during the summer months. It’s a good idea for your church to have a financial cushion in case you do run into a summer giving slump. Having an emergency fund isn’t an expression of a lack of faith. Instead, having cash reserves to take care of unexpected expenses or c decrease in giving is a sign you understand stewardship in the Bible. According to a survey conducted by Christianity Today’s Church Law & Tax Group, the average church saves 2% of their annual budget. This may be a good benchmark for your church. But consider setting aside more money per month until you’re able to cover 90 days of your expenses. Do you know who else struggles during the summer? This summer, consider partnering with nonprofit organizations in your community to provide financial assistance and volunteer support. Supporting a nonprofit organization during the summer will encourage the members of your church to participate in the work of the ministry and stick around. How has your church overcome the summer giving slump? Let's share notes in the comments below. Editor's note: This post was originally published in October, 2017 and was completely revamped for accuracy and comprehensiveness.